Just like skiing in Europe is synonymous with the Alps, skiing in Latin America is all about the Andes. And because of the difference in seasons, the big ski season there is actually our summer so you can pick this hobby up again in June by flying south. This is the perfect time to plan that trip. If you start now, you can earn your free ticket there in time for the start of their season. There are a few standout ski resorts in Latin America that make all the top lists for travel there: Portillo in Chile and Bariloche in Argentina. These two resorts couldn’t be more different. Bariloche is in Patagonia, but it looks and feels like Europe. You might even forget you’re not in a trendy Alpine resort. Bariloche has dozens of hotels for all budgets, bars and nightclubs staying open until the wee hours, and everyone there, it seems, is partying late into the night. 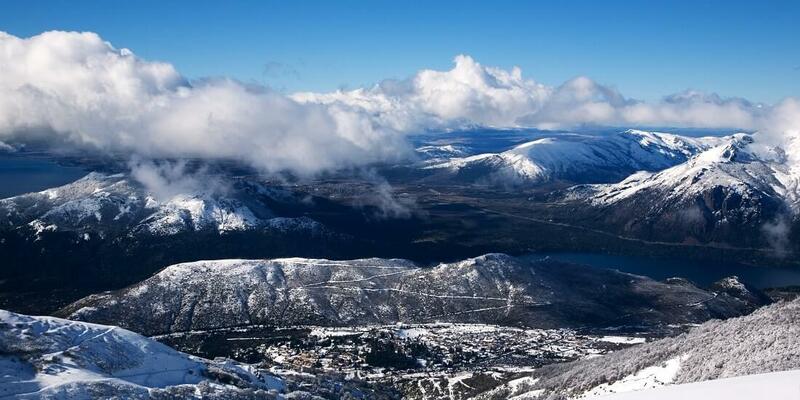 Best time to ski in Bariloche is from mid-June to early October. Portillo is the exact opposite. This venerable skiing resort that dates back to the 1940s, is quiet and peaceful, albeit with all modern facilities you would expect from a first-class world resort. And they limit the number of skiers to 450 daily, so there is never a lift line or even the hint of overcrowding. Portillo is an all-inclusive resort, with three lodging options – from budget to upscale with all guests having access to all resort facilities. The projected 2016 ski season in Portillo is from mid-June to the end of September. Bariloche is served by San Carlos de Bariloche Airport. Despite the limited number of airlines flying there, getting to Bariloche on an award ticket is usually not an issue, especially if you have miles from a few airline programs. LAN Airlines seasonally: via Santiago de Chile. LAN Argentina: via Buenos Aires. TAM seasonally: via Belo Horizonte, Brasília, Sao Paulo (Campinas-Viracopos and Guarulhos), Curitiba, Porto Alegre, Rio de Janeiro. Azul seasonally: Sao Paulo (Campinas-Viracopos), Porto Alegre. GOL seasonally: Belo Horizonte, Brasília, São Paulo (Guarulhos, Campinas-Viracopos), Curitiba, Porto Alegre, Rio de Janeiro. You would need to fly to Santiago, then drive or take public transportation to the resort, which is about two-hour drive from the airport. Santiago is served by Comodoro Arturo Merino Benítez International Airport. 40,000 miles off-peak in economy (from Mar 1 and May 31, or Aug 16 and Nov 30).